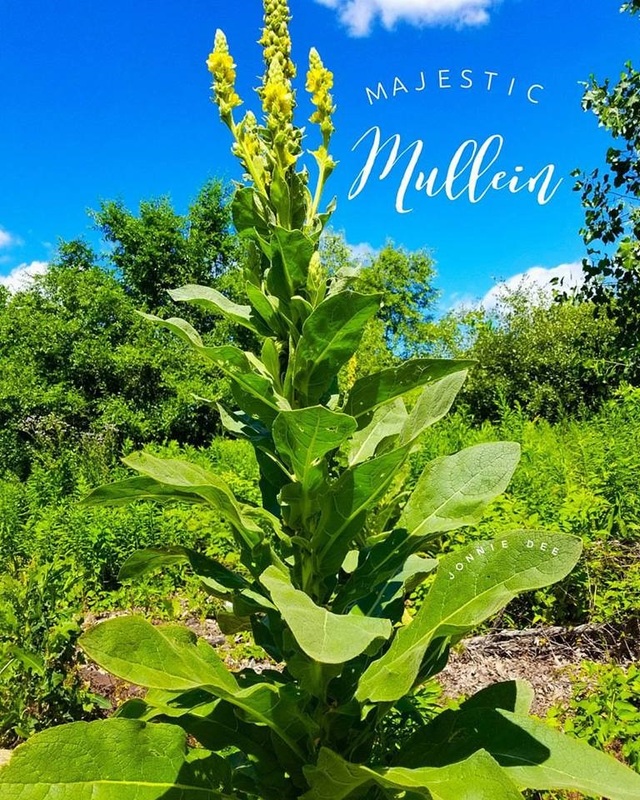 Majestic Mullein, reaching toward the heavens. A well used plant that offers many benefits. Sometime she goes unnoticed. She is a friend to the lungs. Often helping for colds and coughs. The flowers used in an oil for earaches. The native Americans used to smoke it for lung issues. I have recently read that it helps take away the craving for nicotine if you are trying to quit smoking. A friend recently pointed out to me that it is helpful for pain in your back and sciatica. You can also make an oil out of it for chest congestion, adding a few of your own essential oils as well. I Also use it as a tea. Make sure that it is really dry and crunchy because there is a good amount of moisture in the leaves and you do not want mold. As I often say, find and Herb, study it, use it, love it, give thanks for it and share it.